Alice B, Mahendra K T, Dahryn T, Gopal N, Snehasis J. 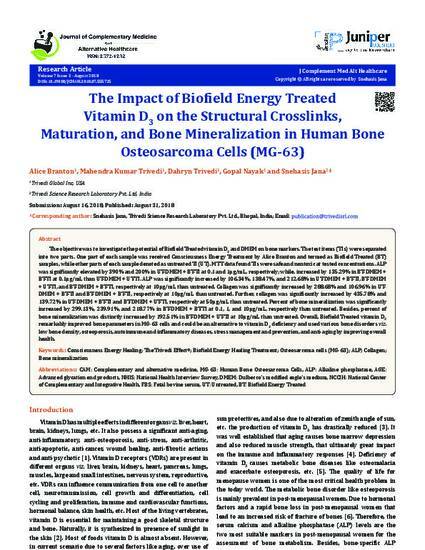 The Impact of Biofield Energy Treated Vitamin D3 on the Structural Crosslinks, Maturation, and Bone Mineralization in Human Bone Osteosarcoma Cells (MG-63). J Complement Med Alt Healthcare. 2018; 7(5): 555725. DOI: 10.19080/JCMAH.2018.07.555725.